The Boxing Challenge with R.L.Malpica continues with four fights from PBC,who for some reason has pulled another two shows on two networks to compete with each other deal. 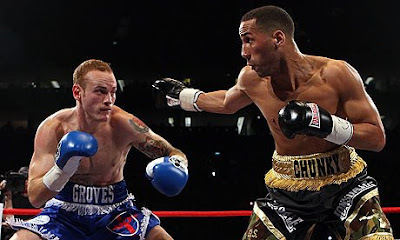 Showtime has the more significant bouts with two super middleweight title fights with IBF champ James DeGale defending against "Porky" Medina,who while a decent fighter, is another one of those IBF top contenders by default that truly isn't one followed by WBC champ Badou Jack defends against former champion Lucien Bute in what is a better bout. 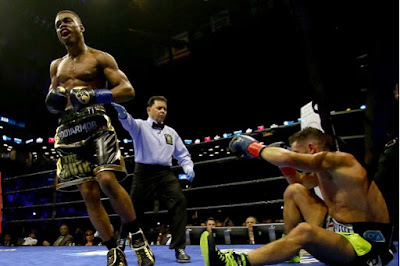 Bute,who just lost a decision to DeGale in a good scrap,might be making his last stand as a top level fighters,while Jack being the main face of Mayweather productions needs a win to increase his exposure. made a positive memory in a win vs Andre Berto. Berto,who has always lost when not matched safely and Ortiz,who has shown a disturbing lack of heart except for the Berto win,should make a fun bout to watch. It had better because if it isn't,it's pretty much a waste of time. The other bout is another bout of two touted,but disappointing boxers as Edwin Rodriguez faces off with Thomas Williams. The Browns took another pass rusher in Penn State defensive end Carl Nassib with their first pick in the round. Nassib only started one season for Penn State,but finished with 15 and a half sacks to set a new record in sacks there. Nassib can rush the passer,but can also be a run stuffer as well. Nassib is suited to the 3-4 more than a 4-3,which is a refreshing change for the Browns to pick players that fits their scheme and is the type of guy that may never make a pro bowl,but could be part of your defensive line rotation for ten years. Cleveland had two picks back to back at 76 and 77,but would use only one with 76 used on Auburn tackle Shon Coleman,which along with their pick yesterday of Corey Coleman,makes me wonder if they bought stock in Coleman camping equipment or might pick Gary Coleman in the seventh. Seriously,Coleman will be an older (25 ) rookie,but the left tackle at Auburn will be the early favorite to replace Mitchell Schwartz on the right side of the offensive line. The 6'5 Coleman is agile enough to play left tackle,but is a better fit on the right side. 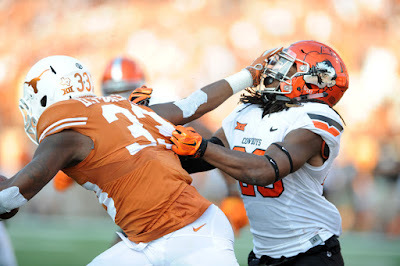 At over 300 pounds,Coleman has long arms and is solid in both pass protection and as a run blocker. Coleman has beaten leukemia after 30 months of chemotherapy and looks to be an excellent pick at this point. Cleveland traded down as they traded the 77th pick in round 3 along with their fifth round pick (141) to Carolina for three picks-Carolina's 3rd (93),4th ( 129) and 5th (168). 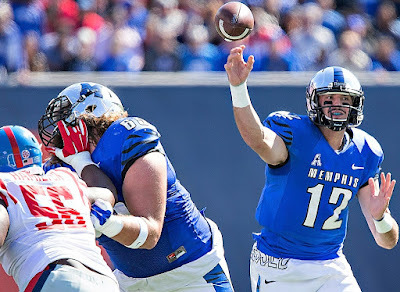 The most controversial pick came next as the Browns used the third rounder from Carolina to take a quarterback,but it was not either of the two passers that had been connected to the Browns via a local tag. Many thought the Browns might like Michigan State's Connor Cook or Ohio State's Cardale Jones,but instead tabbed USC's Cody Kessler. Kessler is a tough guy and a very accurate passer which Hue Jackson seems to like,but doesn't seem to have the type of talent (as in not a very strong arm) that makes him a viable quarterback to lead a team as a starter. 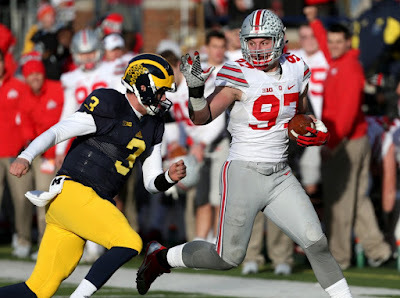 What I do think that Kessler has is the type of attitude and character to be an excellent backup and this could be the Browns getting the guy into the locker room as a backup and see then what happens. Kessler reminds me of a player that gets overdrafted and might be overwhelmed if forced into a starting role. Cleveland may have their eye on a top quarterback in next years draft and could have picked Kessler to be the mentor of sorts to that QB. I think this was a bit of a reach on the Browns and they could have likely added Kessler on day three of the draft. The Cleveland Browns decided to pass on various offers for their pick to start off day two in the NFL Draft and added a disruptive pass rusher in Oklahoma State's Emmanuel Ogbah. The Big 12 defensive player of the year (funny,I didn't know that they played defense there) finished with 12 and a half sacks last season and shows the type of speed that few defensive end have. Ogbah is a player that you would hope would bring some pass rush to Cleveland,but the Browns have attempted to draft pass rushers for years with little success. Another flag raised is that Ogbah appears to be a prototype 4-3 end that the Browns appear to be attempting to turn into a standup 3-4 outside linebacker. This is not a move that's impossible to make,but some players are just not suited for the role and I'm more likely to approve a player that has made that move in college,not a transition for the pros. However,you have a player with tremendous tools with high college production and no off the field issues,so Emmanuel Ogbah looks like a very solid pick to me. Ogbah was one of several players that would have made sense for the Browns,so I'm fine with it,just a little concerned about the plans to shove a player into a system that might not best suit his skills. Here is hoping that Ray Horton uses Ogbah to his best and not use him to cover tight ends! Ha Ha! The Cleveland Browns weren't finished trading down in the first round of the NFL Draft,but eventually settled in at 15th overall and selected Baylor wide receiver Corey Coleman. Before I comment on Coleman,let us discuss the trade with the Tennessee Titans that brought more picks to the Browns. Cleveland traded their first rounder (8) and a sixth round pick to the Titans for their first rounder (15),third rounder (76) and the Titans second round pick in the 2017 draft. The lovely Cherie commented "I know these are good picks,but don't you get tired waiting until next year-every year?" She's right of course,but the Browns now have 2 picks in each of the first two rounds of next years draft and put themselves in position to control that draft. However,don't forget about this one where the Browns hold the first pick in the second round and possess three third rounders (65,76 and 77) to play with to fill holes or even trade up into the second round,if a special player is worth making a move for. 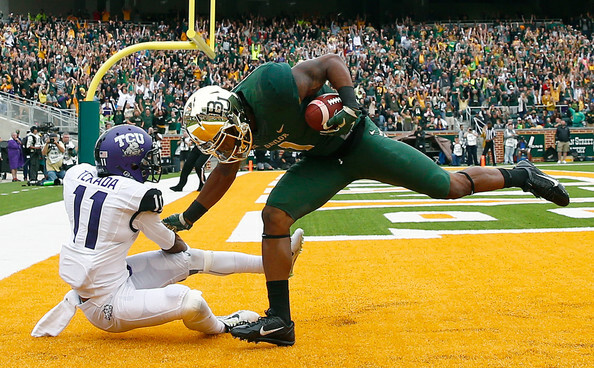 After the trade to the 15th slot,Cleveland did take a badly needed receiver in Baylor's Corey Coleman. Coleman was not my top rated receiver (My top was Ole Miss WR Laquon Treadwell),but along with TCU's Josh Doctson was considered very close to the top of my WR list. Coleman is looked at as the top deep threat in the draft as his speed is superior to Treadwell and Doctson,although at 5'11,he isn't as tall as that pair and might not as be as large of a red zone target either. Coleman is more of a game breaker and lord knows that the Browns need as many of those as they can get,but there will be a bit of a learning curve as Coleman accumulated huge receiving numbers playing in the Baylor spread offense,which is much different than the pro style offense that NFL teams use. What I really like from Coleman was his 20 touchdown season with the Bears that saw him win the Biletnikoff Award as the top receiver in college football. Coleman caught 74 passes for over 1,300 yards for an average of 18.4 yards per reception,but keep in mind that teams that play in the Big 12 often have inflated offensive numbers due to the spread offense and poor defenses in that league. The Browns (other than Josh Gordon in his one year of Comet Kohoutek like play) haven't not had big play deep threat since the one solid year that Braylon Edwards had in 2007 and Coleman brings the capability of being able to do so. On the overall,I'm fine with Coleman. Treadwell,Coleman and Doctson all seem to be rated roughly the same with different observers with different orders of the three with most rating Treadwell as more NFL ready and Coleman with more of the "upside" that we all talk about. I plan on a post on the Browns second rounder tomorrow night and then a followup on the third round selections..
Much to do today in the TRS empire! I have to do the routine Tuesday things (lunch with the lovely Cherie Yay!,shopping meh),but also have to squeeze in voting in the primary, a trip to Harrisburg for the Hartford Yard Goats and prep work for what I hope will be a productive podcast. I'm planning our biggest event ever for the NFL Draft-Two previews with one on the Browns and the AFC North and the other with a hoped for guest to discuss the players available. This has the potential to be awesome or a bust,depending on how things actually go,but I am quite excited! This week is crazy with the return to work on Wednesday,the draft,the Salem Red Sox in Frederick and Rome Braves at the Muni-both team loaded with prospects and the day to day issues that we all deal with. It is a good kind of crazy though! Kyrie Irving led the Cleveland Cavaliers with 31 points,but seemed to score some of them exactly when Cleveland needed them the most as Cleveland held off a determined Detroit Pistons team 100-98 in Auburn Hills. LeBron James added 22 points and 11 rebounds in the victory that ended the first round series four games to zero. 1) Kyrie Irving was clearly the star of this game and not as noted,just for the 31 points scored-but for when he scored them. Irving's roughly half court shot at the end of the third quarter visibly sagged the Pistons and even coach Stan Van Gundy..
2) The most impressive part of that shot was that it was a shot. Most times when shots are made from such crazy distances it is more of a heave and throw with luck involved. Irving took a straight jumper,which takes lots of strength in the arms and wrist. 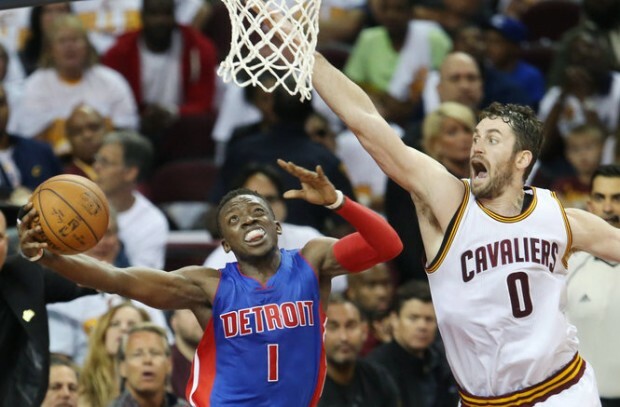 3) Kevin Love struggled with his offensive game (3 of 11 shooting),but grabbed 13 rebounds. Love often times last year would fade away when his offense wasn't great,but this year's Love is able to make a difference in other ways. Love's rebounding numbers were always large,but this season,it seems that he grabs the big rebound as well..
4) Detroit played a tough series and didn't back down.The Pistons might be one more player away from being a serious contender. Now,do they have the means to obtain such a player? That's a different story..
5) Cleveland would play the Atlanta-Boston winner in the next round unless Charlotte (down 2-1) or Indiana (tied at two) pulls out their series. If Indiana wins their series,the rest of the results are irrelevant and they would play the Cavaliers. 6) The importance of a sweep comes later in the playoffs when the legs get tired. Every game that you can get by without playing it takes away the wear on the body and as the Cavaliers saw last season,avoids the risk of injury. 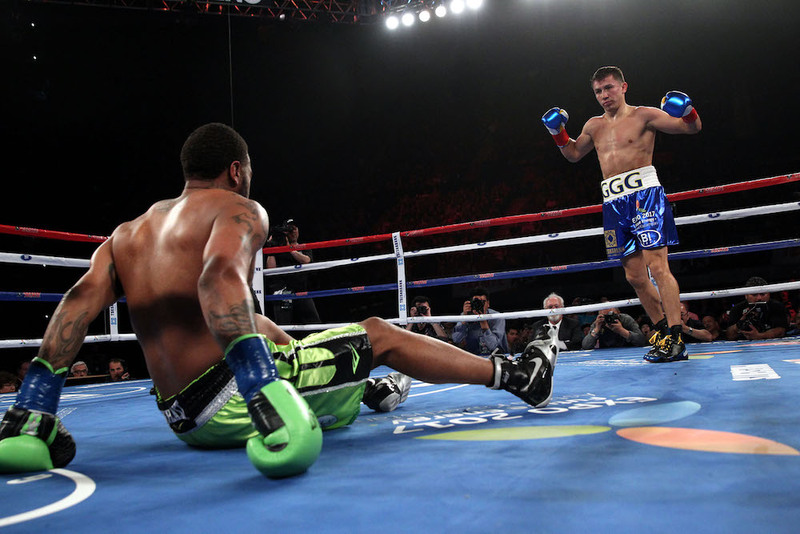 The biggest fight of the weekend saw Gennady Golovkin drop Dominic Wade three times in two rounds before Wade was counted out. Golovkin's win enabled him to keep his two middleweight belts and as impressive as his dispatching was-his post-interview basically calling out Canelo Alvarez to either fight him or "bring him the belt" was quite priceless. It took a gritty effort from McWilliams Arroyo in order to last the distance with WBC flyweight champ Roman Gonzalez,but he was able to hear the final bell. I gave Arroyo the first round,but no more as Gonzalez won on my card 119-109. The boxing challenge rolls on with two bouts on HBO that feature the top two fighters in their division in the TRS ratings and another untelevised title bout from the Philippines. The most exciting fighter in the world defends his WBA and IBF middleweight titles against the IBF mandatory contender Dominic Wade. Gennady Golovkin is about as big of a favorite as you can get over the talented,yet unproven Wade and is likely to deliver "big drama show" as he is so fond on saying. 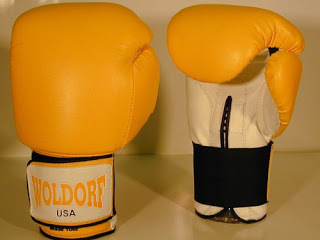 I recently discussed the IBF as having the most fair manner to determine their top contenders,but yet so many don't participate in their eliminators,so therefore many of their mandatory fighters are weaker than the other organizations. Arroyo is a solid enough fighter to make a good showing,but is unlikely to challenge Gonzalez in a bout that will hopefully set up a title unification fight with Juan Francisco Estrada in the fall. Nonito Donaire defends his WBO junior featherweight title in his native Philippines vs Zsolt Bedek to complete the weekend. I lead the challenge over R.L.Malpica at 39-30. The Cleveland Cavaliers received twenty point plus performances from each of their big three and defeated the Detroit Pistons on their home court 101-91 and grab a three games to none lead in their first round series. 1) This won't be as detailed as usual. 2) The big play that everyone is talking about is the long range,off balance shot with under a second on the shot clock three by Kyrie Irving that really shoved the knife in the Pistons heart. 3) Was thinking again about the talented Andre Drummond of the Pistons and his horrible free throw shooting. I know there is some amount of questions on the future legality of the "hack a horrible free throw shooter tactic",but for the Pistons,they have to wonder about building around a player that is not likely to be on the floor in crunch time because of that flaw. 4) I think Detroit has played the Cavaliers as tough as an 8 seed could play a 1,but they are about to be closed out. It's been a big news day. The Cavaliers winning their playoff game and of course the Browns trading down in the first round with Philadelphia,but another news item brought back memories. 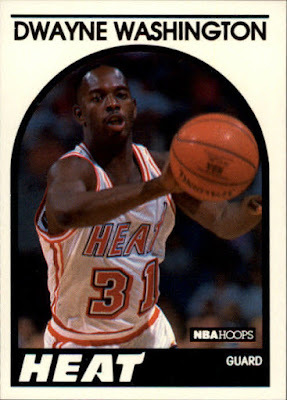 Dwayne "Pearl" Washington passed away at the age of 52. Washington had announced last summer that he had a brain tumor and was undergoing surgery in an attempt to remove it. I remember those days as almost every team had a star player and the games were so physical and demanding that each game had an almost draining feel to them. Washington was a three time All-American and three time all-Big East and his showmanship and skills made the most emulated on playgrounds and gyms around not only the conference footprint,but also country wide as a result of an up and coming network known as ESPN,which showcased the Big East constantly. 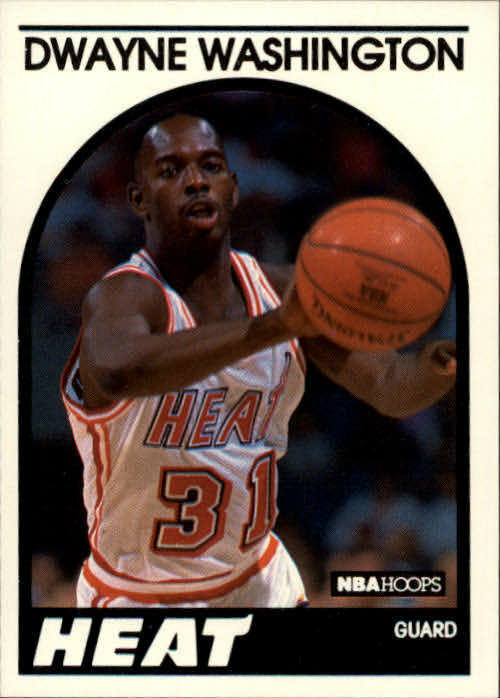 Pearl wasn't exactly a great shooter (which would come back to haunt him in the NBA) or a plus defender,but his ballhandling skills brought to mind about any great dribbler of the past. Washington was more of a pure point guard than a scoring guard,but could penetrate to the hoop with the best guards as his stocky build allowed him to bull by defenders when he couldn't outspeed them (Washington wasn't known as a burner) to drive the lane and lay it up and in. Pearl's game didn't lend itself to the NBA,too slow to defend and the players were better suited to defend him off the dribble,forcing his always erratic outside shot and taking away his offense. Washington was through after two years as a New Jersey Net (13th overall pick) and a season with Miami after being picked in the Heat's expansion draft. Growing up during this time as a basketball fan was a great time. This area was a crossover area as we saw all the games from the ACC syndicated network because of Maryland,but we also received the Big East slate of matchups too because of Georgetown. Those teams in the Big East had their shares of players that became great pros in Patrick Ewing and Chris Mullin but they also had players that were excellent college players that were just professional role players like Villanova's Ed Pinckney or even players that weren't able to reach that modest height like Washington and St.John's Walter Berry,a transcendent college player that didn't have the athletic ability to be the same player in the NBA. I never truly had a favorite team in the Big East,although I suppose in hindsight,I probably rooted for Seton Hall and St.John's more than anyone else,but I always had time to watch their games and their stars. I truly loved college basketball back then,a game not populated by one year players or polluted by bloated conferences put together by finances rather than for regional pride. I'm not sure I'll ever get that love back.It's like a special love that was so torrid that it never again can be the same. The podcast discusses the Browns trade with the Eagles,some boxing talk and Pearl Washington. 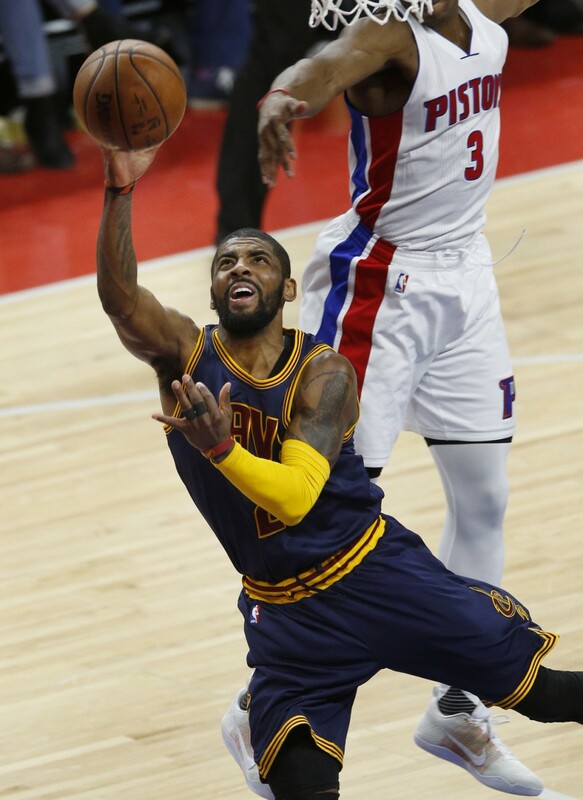 The Cleveland Cavaliers held serve in the first round of the Eastern Conference playoffs and dominated the second half in a 107-90 win over the Detroit Pistons at the Q in Cleveland. 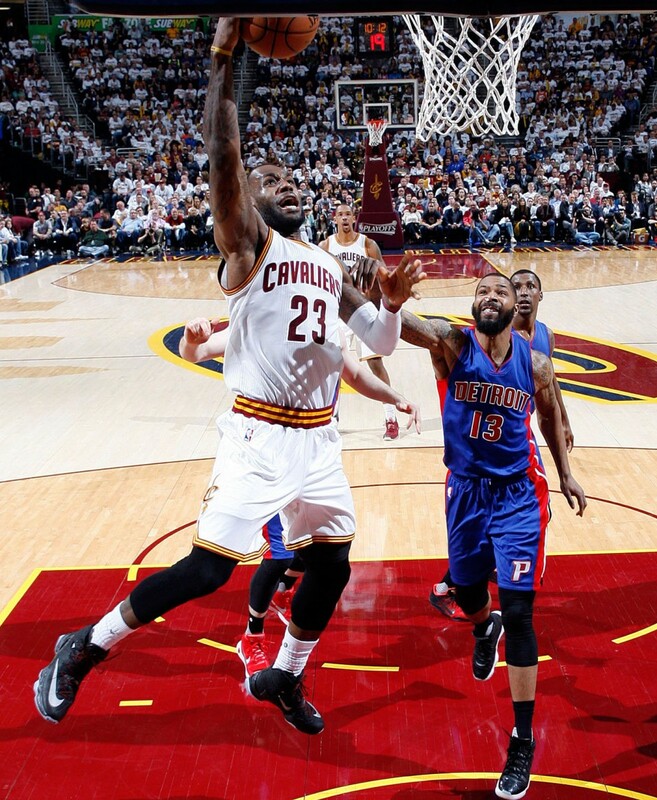 LeBron James,Kyrie Irving and J.R.Smith all finished with over twenty points in the victory. 1) Cleveland hit 20 (Twenty!) three pointers to tie a playoff record. J.R.Smith nailed seven of those to lead the Cavaliers,who shot 52 percent from long range. 2) LeBron James looked grimly determined in this one and showed why (in my opinion) he is still the best basketball player in the world. The all around performance is why I rate him as number one as Stephen Curry may be an better offensive players and certainly a superior shooter,but I'll take LBJ as better rounded. 3) The Cavaliers did have issues at the five as Tristan Thompson got into foul problems early and Thompson and Timofey Mozgov combined for zero points in 22 minutes of play. 4) The centers (including Kevin Love playing there some) struggled against Andre Drummond on the defensive end as Drummond scored 20 points on eight of thirteen shooting. 5) Cleveland's defense might have struggled against Drummond,but they did improve against the three pointer as they held the Pistons to just four three pointers for a 23 percent evening. Detroit is going to have to post numbers over fifty percent like they did in game one such as they did in game one to have a chance of stealing one of these games.. The Cleveland Cavaliers rallied late to pull away from the Detroit Pistons and win game one of their first round series 106-101 in Cleveland. 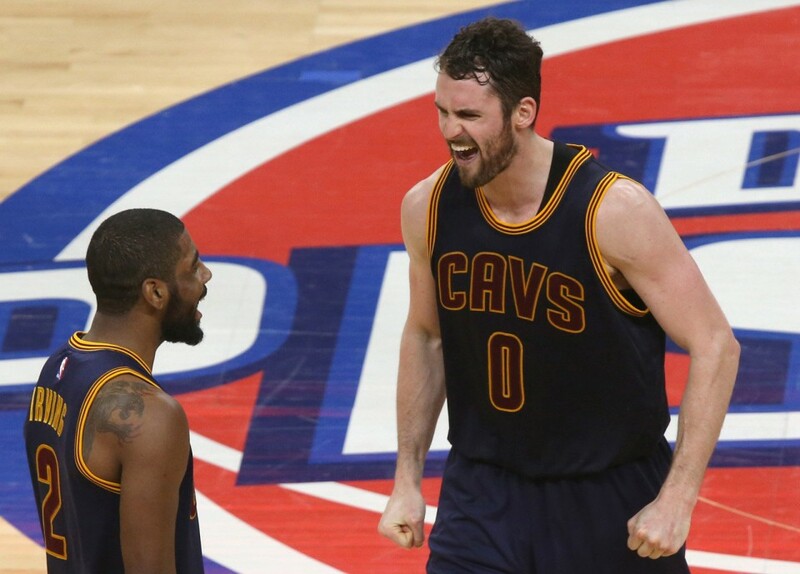 Kyrie Irving finished with 31 points with Kevin Love scoring 28 points and 13 rebounds to lead the Cavaliers. Game two is Wednesday in Cleveland. 1) Tyronn Lue made one decision that paid huge dividends in the fourth quarter-moving Kevin Love to the pivot and Love was able keep the much slower footed Andre Drummond at bay,while Love drilled three pointers from the outside. 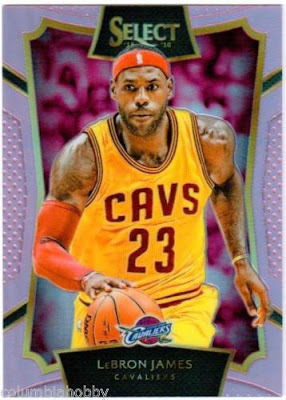 2) LeBron James finished with 22 points,but also 11 assists,but was the main balhhandler in the second half. 4) Tristan Thompson held Andre Drummond to 13 points after averaging 20 during the season. 5) Surprisingly DNP (did not play)? Channing Frye. This could be due to Kevin Love's huge shooting day,but I hope that the Cavaliers don't glue Frye to the bench for the playoffs. R.L.Malpica and I arrived at the total from different avenues,but we each scored 8 points Saturday night in the boxing challenge. Spence dominated Algeri in the Brooklyn NY bout and looked ready for a further jump in competition. Errol Spence is the real deal and if the PBC has any smarts at all,they'll begin to pound the promotional drum for him as a star and begin to get him fights against their better welterweights..
Spence gave me three points for the knockout win and calling the round,while R.L received one point for the win..
R.L.got two points back to my none as Krysztof Glowacki dropped Steve Cunningham four times to win a lopsided unanimous decision to retain his WBO cruiserweight title. In a non-challenge bout,former Olympian Marcus Browne won a split decision that he didn't deserve over Radijovie Kalajdzic. The bout was marred by bad officiating as Browne was given credit for a knockdown in round one that wasn't and hit Kalajdzic while he was on the canvas and wasn't penalized. Kalajdizic floored Browne in the sixth and again in the eighth,but the latter was inexplicably not scored as a knockdown. On Showtime,R.L and I each earned four points for victories as Gary Russell kept his WBC featherweight title with a second round knockout over outgunned and undeserving challenger Patrick Hyland. 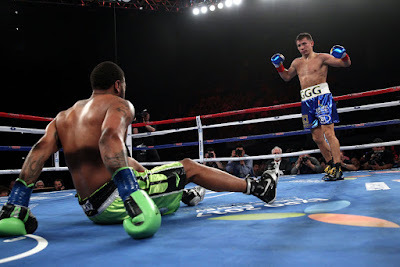 Russell,who is 0-1 against top competition and just 1-1 vs top 15 contenders in a career marred by injuries,time off and bad opposition called out the only top fighter to fight him in WBO champ Vasyl Lomachenko,who won a lopsided decision over Russell. Jose Pedraza bounced back from a controversial decision in his last fight to keep his IBF Jr.lightweight title with a unanimous and decent enough win over Stephen Smith over England. Felix Verdejo gave each of us one point with a unanimous decision over Jose Rodriguez on UniMas. We return on the ride home with a recap of the nuttiest night we've seen in graphing as Chasing Cardboard features a postgame wrapup of the Reading Fightin' Phils and things I still do not believe with J.P.Crawford. I lead the boxing challenge vs R.L.Malpica 31-22. NBC finally has its first PBC card of the year with the one fighter that could be the future face of PBC facing his first top 15 type opponent and a cruiserweight title fight that could feature lots of action. 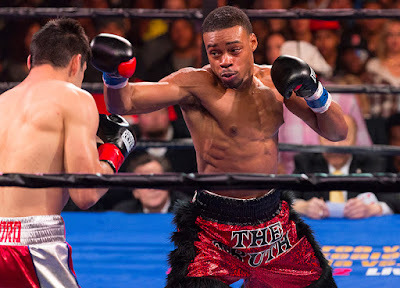 The talented Errol Spence steps up against Chris Algeri in what should be his introduction to solid opposition in a welterweight bout. Spence is the one guy that could be a breakout star for PBC and tomorrow could be step one. Krzystof Glowacki ended the long reign of Marco Huck in his last bout in an exciting win to lift the WBO cruiserweight title. 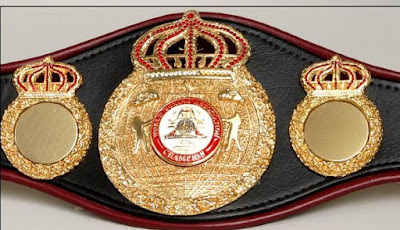 Now Glowacki defends against another former champion that had a long reign in Steve Cunningham,who returns from the heavyweights for a shot at a title in his old division. This might be the best action of the weekend. Showtime has two world title bouts of varying quality on their network. Gary Russell starts his WBC featherweight title reign against the type of no-hope opponent that has marked his career in Patrick Hyland. Russell is a talented fighter,who has seen his career filled with poor opposition and long periods of inactivity and this seems to be another case of the former. Jose Pedraza defends his IBF Jr.lightweight belt against Stephen Smith of England in what could be a nice fight in the co-feature. Top Rank's talented lightweight Felix Verdejo is on UniMas against Jose Rodriguez in what is essentially a stay busy fight. After a rough Thursday,I decided to do this on the blog rather than the podcast since tomorrow could be the debut of "Chasing Cardboard"which would then be posted on Sunday. Country star Merle Haggard passed at 79 on his birthday last week. Haggard,who was once told by Johnny Cash that "you are the man everyone thinks I am" had 38 number one hits from the 1960's through the 1980's and was best known for his songs that reverbed with the common man during that time period such as "Okie from Muskogee" and "Fightin' Side of Me". I liked those songs of Haggard,who had served time in prison for attempted robbery (later fully pardoned by then California Governor Ronald Reagan,but Haggard could do more than right wing tunes. 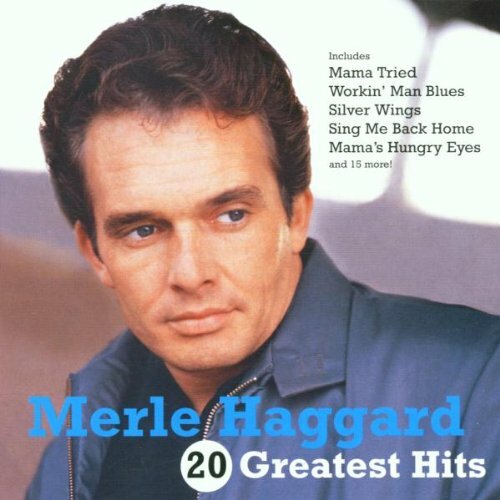 Haggard could sing ballads such as "Carolyn" or honkytonkers like "Rainbow Stew",but of all of Hag's hits,my favorite was this-"I take a lot of pride in what I am". The song was later covered by Dean Martin (another TRS favorite),but I prefer the Haggard version. It speaks to hard working people everywhere and tells us all that having pride and dignity is about far more than possessions and money. The other loss was of pro wrestling star Blackjack Mulligan,a worldwide star and father of Barry Windham at the age of 73. Mulligan,who was a star as both a heel and "babyface" made his biggest claim to fame in the Mid-Atlantic territory on both sides of the fence,but made his biggest impression on me as a giant heel in the old WWF managed by Fred Blassie. Mulligan went around the circuit with title matches against then champion Bob Backlund as well as many "battle of the giants" against Andre The Giant. 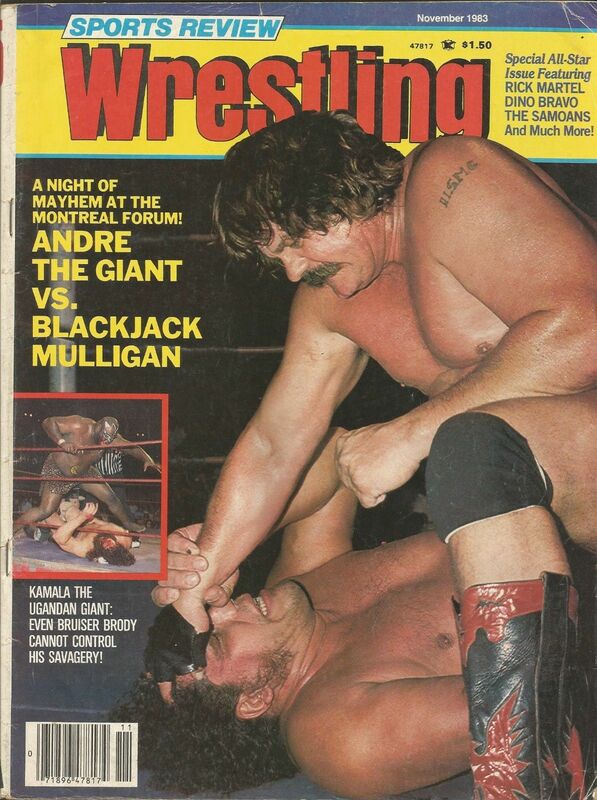 Mulligan also started his run through the 70's as part of the tag team of the Blackjacks as Mulligan adapted the cowboy gimmick of partner Blackjack Lanza. One of many that used the "claw" as a finishing move,Mulligan's WWF run was most noted for using the claw to win TV matches against the no-hopers,which would be "censored with a huge X across the screen as it gave the illusion that Mulligan was squeezing so hard that "it was just too bloody to show on television" and therefore really get the claw "over" as such a huge finisher. Mulligan would later return to the WWF as a good guy and host of "Mulligan's Barbeque" as the antithesis of Roddy Piper's Pit. I hope to be back later with another overdue column..
Just a few quick notes on some upcoming news for the blog/podcast and a little promotional note as well. We start with my appearance with Ramon Malpica on his Prizefighter Podcast. I love doing Ramon's show as it gives me time to offer opinions on the fight game without the constraints of being the host. Ramon having me on his show,I've noted in the past,was the impetus for the beginnings of our podcast,so give it a listen and see what you think! I'm also looking forward to our newest feature for the podcast that I'm hoping will start on Sunday as a weekly feature (usually) will be named "Chasing Cardboard". Brad Adams will be a regular on the show and we will have other people on the show during the baseball season. The plans for the show will be to tell stories from the autograph chasing game,who's signing and who's not with other items from the trail. I also wanted to add another stop on this year's ballpark tour as another new park might be stamped on my ballpark passport as Fred and Michael Landucci have graciously invited me to add the home of the West Virginia Power in July as the Power takes on the Augusta Greenjackets. Augusta does not visit Hagerstown this year (the only SAL team not to do so),so this trip not only adds a ballpark,it gives me a chance hit a team loaded with prospects including first round pitcher Phil Bickford,assuming Bickford lasts that long before being promoted. Part two of our first ever boxing rankings consists of Lightweights under as our three man committee made our votes. I decided to stop at the flyweight division and institute a top five under the flyweight limit for our next ratings in July. Podcast:Different thoughts on guns and one and dones..
We offer some different thoughts and theories on a mobile mini-cast. I offer some thoughts on guns and the people that use them without discussing gun control legislation in the aftermath of the death of former Buckeye Will Smith. 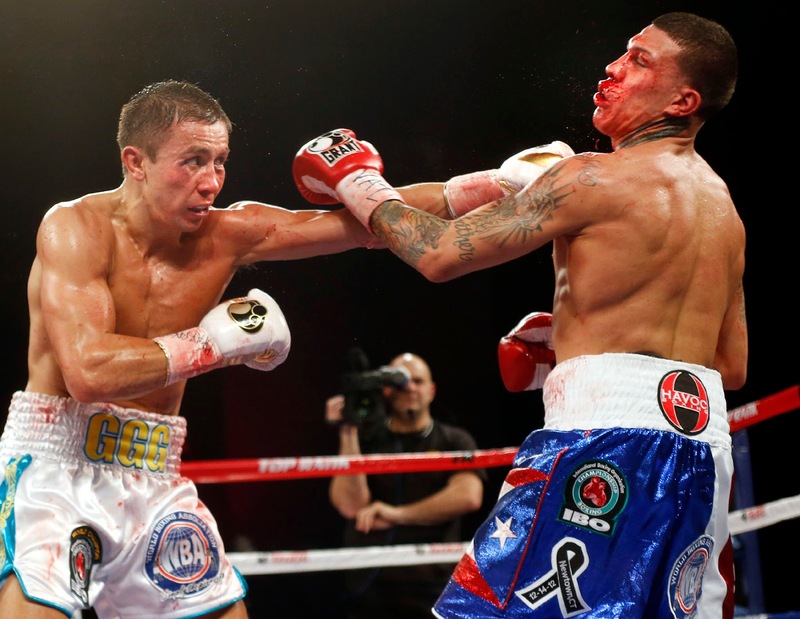 The boxing challenge rolled on with four big fights Saturday. I added eight points over the day to R.L.Malpica's six and moved the overall lead to 31-22. The glamour fight of the weekend might have involved Manny Pacquiao,but we might look back in time at this evening and realize that that the most newsworthy bout of the day was Anthony Joshua's two round demolition of Charles Martin to win the IBF Heavyweight title. 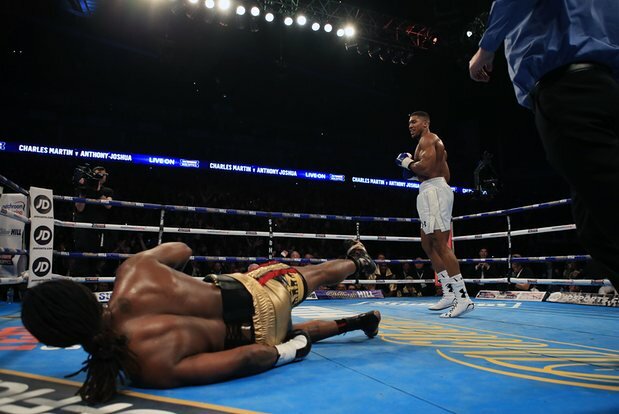 Joshua knocked Martin down twice in round two on his way to ending the title reign of arguably the least deserving heavyweight champion ever. Martin,who won a vacant title when his opponent (Czar Glazkov) tore his ACL (knee) in the third round,deserves some credit for going to the UK to fight the former Olympic gold medalist and for being a good businessman for cashing in,was clearly out of his league against Joshua,who may still need some polishing,but has the most talent in a suddenly interesting heavyweight division. Joshua will likely make his first defense against another talented prospect-New Zealand's Joseph Parker,who needs to get through a title eliminator against Carlos Takam first and with a win has options against David Haye in a huge fight for the UK,Tyson Fury in a bout to unify three of the four titles in an even bigger UK bout and maybe even down the road-American Deontay Wilder,should he keep his belt after a tough fights vs Alexander Povetkin. R.L and I each earned two points for the Joshua win. Lee Selby defended his IBF featherweight title on the Joshua undercard with a unanimous decision over Eric Hunter. 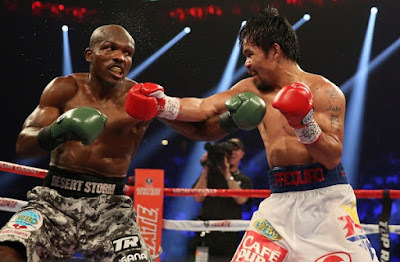 In the glamour pay per view fight,Manny Pacquiao took a unanimous decision over Timothy Bradley in the unwanted third fight between the two. Pacquiao knocked Bradley down in the seventh and ninth in cruising to the win. Pacquaio claims this was his last fight and it may be,but I'm not sure it's because of that,but a lack of bigger fights for him. Most of the talent in the division seems to be on the Al Haymon side of the ledger and unless Top Rank wants Pacquiao against Jessie Vargas (WBO champ and only champ promoted by T.R),which might have less buzz than this one,Pacquiao might be better suited to take time and see what opens up..
R.L.and I each added two more points. Gilberto Ramirez won every round on the co-feature to win his first world title with a unanimous decision over Arthur Abraham for the WBO Super Middleweight title. Ramirez is expected to be the latest star for Top Rank and was the first ever Mexican fighter to win a title heavier than 160 pounds. The Ramirez win gave me two points,while R.L. picked Abraham. The Boxing Challenge returns after a hiatus from action and a missed date as far as picks go. A PPV offers two big bouts and Showtime has another with a title bout on the undercard. Top Rank bets on what it thinks will be a future star as Gilberto Ramirez goes after his first world title against Arthur Abraham and the IBF heavyweight belt is on the line in London with Charles Martin defending vs Olympic gold medalist Anthony Joshua. I currently lead the challenge over R.L.Malpica 23-16. 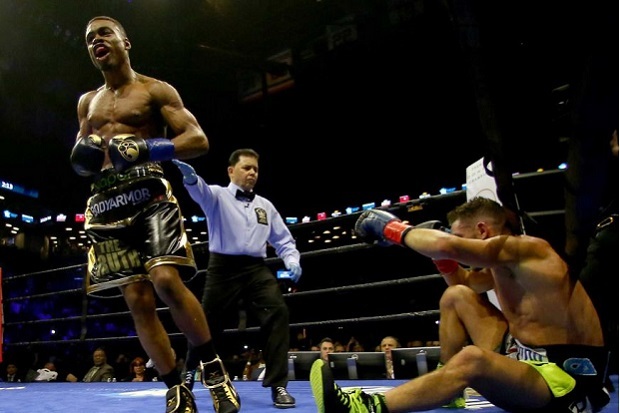 Our first boxing ratings start today as we release part one of our quarterly rankings. The three person panel of myself,Ramon Malpica and Vincent Samano have worked on these. I'd like to add two more voters for the next rankings,so let me know. I didn't give a clear criteria for the rankings,but my rankings balance overall ability with a big emphasis on quality victories..
Hope you enjoyed this feature!! Two different takes on the Boston Braves from Boston University and the Providence Journal. The Journal piece is a little more basic and the BU article is far more detailed. 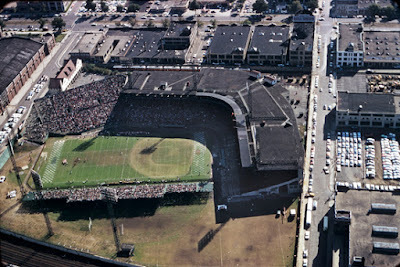 The BU article also focuses more on the home stadium of the Braves-Braves Field,which is now known as Nickerson Field. The right field bleachers as seen in the photo are the only part of the seating that still stands to this day. Nickerson Field was also the home for the one year existence of the USFL's Boston Breakers. As a long-time and avowed SCTV fan,I had to add this article from the New Yorker on former SCTV stars Eugene Levy and Catherine O'Hara. The pair currently star in Schitt's Creek,which is a Canadian television series,which can be seen here on the POP network. I'd give it a chance,if it was on any other network. POP is formerly the Tv Guide channel and only shows their programming on half the screen while scrolling the television schedule for the provider of choice as the program air. I haven't done very many games of daily coverage of the Devils this season,but I will be doing a season in review. The best place to go for Devils info for years has been Tom Gulitti and the Bergen Record. Gulitti's work on the Fire and Ice blog has been the first place that I have went for any Devils transactions,news etc and made my life much easier for what I write about the Devils. Gulitti will be moving to Washington and writing for NHL.com,so someone else to be named will be taking over the Devils beat for the record next year. CNN.com looks at the final days of Al-Jazeera's American venture. It's very interesting in the look behind the scenes at the mistakes,issues and problems that led to the demise of the network. Nicole Mitchell,who long time readers will remember doing an extensive interview with us here,offers some comments for the piece. I know the stigmas that come with the network,but I actually liked their network. That cleans things up for now. Happy Late Anniversary to Us! I missed our 9th anniversary when we took Rachel to Ohio and wanted to do our annual post,where we thank our friends and readers for what we do. 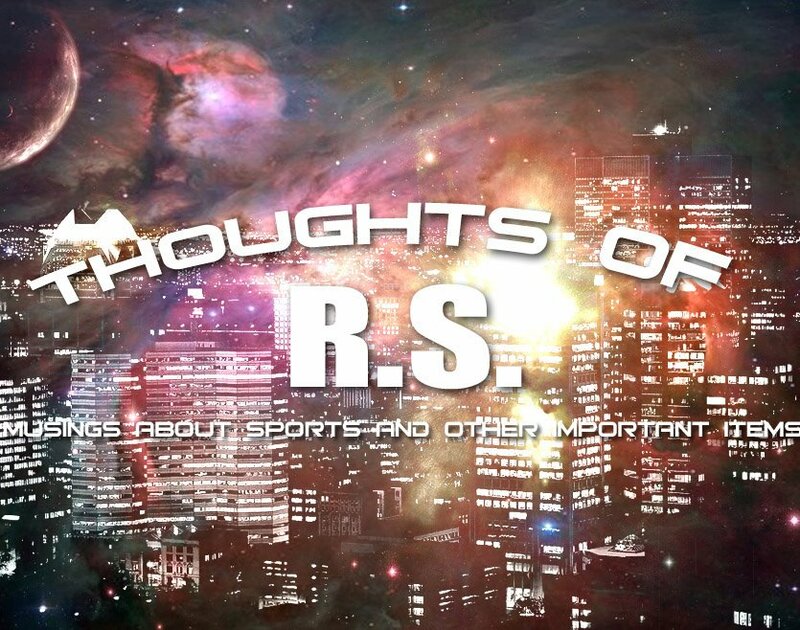 The past year has been a big year for the TRS empire as we added the podcast to what we do. I've had some great opportunities to talk to some people that I would never been able to without the podcast and I so enjoy doing it and hearing that people enjoy the show. Without sponsorship,there could be changes on the horizon,but I like doing it so much,that even without sponsorship-I believe it will continue,just in a reduced manner due to the constraints of bandwidth. I still have some interesting people that have agreed to do the show and I'm looking forward to getting bring those shows to you-no matter how long it takes. It still to this day freaks me out (in a good way) when someone says how much they liked a show or know something about my life because they read or listened to my work. The numbers here might not be Sports Illustrated level,-but I appreciate each and every one of you more than you can ever know. Day to day coverage of most sports has transitioned away,but things haven't changed that much-They still are the Thoughts of RS. 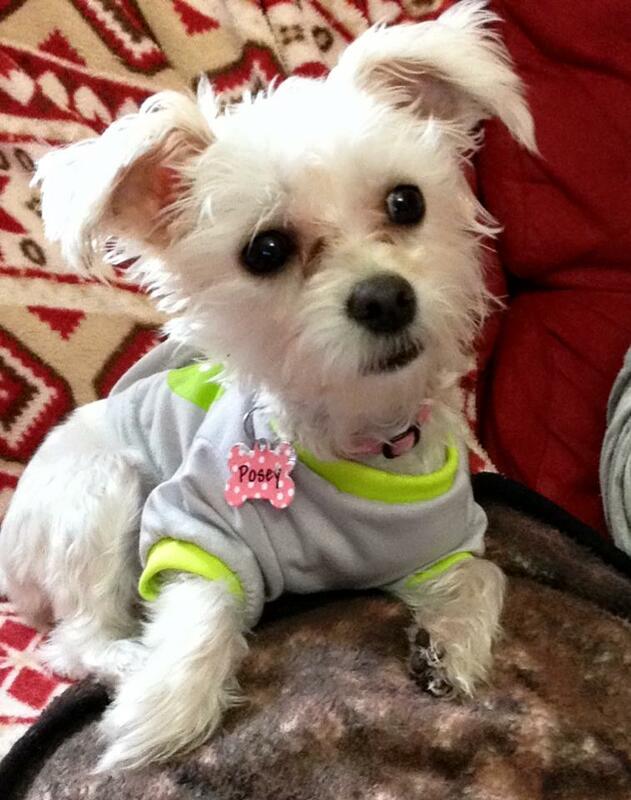 So without further ado-lets start with the thanks! Of course to the lovely Cherie,who makes everything run and always receives credit for the original idea of the blog. Nothing I do happens without her input and whenever I have things on my mind (important or not) she is the go-to person for counsel. My children aren't exactly regular readers or listeners,but I appreciate having both Ryan and Rachel in my life. I so miss staying up and watching a late baseball game from the left coast with Ryan,talking about sports or things so mundane as what you did that day and I love watching almost every Devils game with Rachel as she's learned the game and fallen in love with the team. I love you all more than words can describe. Thanks to my graphing buddies that make spring and summer worth savoring-Brad Adams,Derreck Chupak,Bill Cover,Doug Hopkins and Kendall Morris. I don't know what I'd do without hanging out with you guys in the summer,but let's not find out! I have a feeling you just might be hearing more from some or all these guys on the podcast soon! I'd also like to thank Steve Brandenburg. I know some of you might wonder if Steve and I have had a falling out-nothing could be further from the truth. Steve's friendship is important to me and I couldn't have gotten the podcast off the ground without him. Thanks to my two big sisters-Denise Nicarry and Krista Anderson,both of who have filled a void in my life that has existed since day one in the big sister role. Denise reads my stuff and even listens to the show (she fast forwards through the boxing stuff,I'm fine with that) and Krista? Well,Krista has known me longer than anyone I know outside of family and she has such an interesting and varied bunch of friends that she'd be amazed at just how often I pluck them for items to clean the inbox. 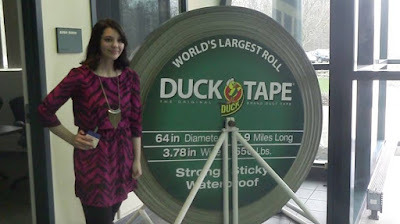 Now if I could just get Krista's sister to do my show! Ha Ha! Thank you both of everything. A really special thanks to Fred Landucci and Big Don Cain. These two gentlemen always read,listen,give me input and their kindness goes a long way when the day is bad here or elsewhere. Fred and Don are easily the people that tell me quickly when a column or a show was great and even when it's mediocre,because it didn't hit home-because I didn't hear from them! Ha Ha! Thank you both so much for being such terrific friends and supporters of what I do. Thanks as well to three people that I have physically never met-Ian McArdle,Ramon Malpica and Julie Kendall. Ian is the Chico Marx to my Groucho on Facebook and our antics there always makes me laugh for a good time. Ramon is my boxing ear and it was doing Ramon's show that I enjoyed so much that helped me make the decision for my own podcast. Julie has done the show several times and rare is the day that she doesn't check on me to see how I'm doing. I'm sure I've missed some of you and I have some great friends that I haven't mentioned,but I decided to keep it to people near me online or somehow related to the blog in some way. Thanks to all of you,I hope to keep you reading and listening as the road to year ten begins! 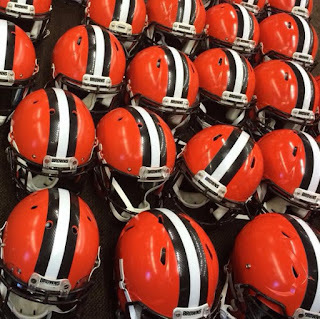 The cuts in Cleveland continue and they now have reached the secondary as the team released another starter from the 2015 team and cut one of the Ray Farmer flyers from the same year's draft. The Browns released veteran safety Donte Whitner and 2015 seventh round cornerback Ifo Ekpre-Olomu in two separate moves. 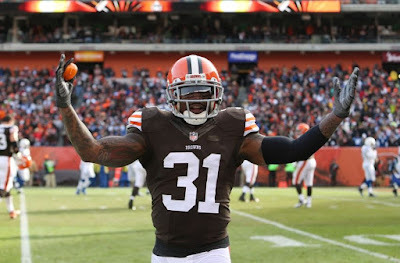 Donte Whitner spent two years in Cleveland after signing as a free agent and I agree with the decision to release him-with an asterisk. I don't have a problem with shedding the over 12 million over the next years of the contract,but I do think that the Browns weren't really fair to Whitner by waiting this long into free agency. The team could have released Whitner when they cut Karlos Dansby and given him a better chance to find a new team. That said,Whitner was painfully slow last season and his lack of speed was obvious to even the casual fan. Being that Whitner would most likely be even slower in 2016,I see their point in getting younger in 2015 4th rounder Ibraheim Campbell,cheaper (Campbell makes far less) and likely faster-Campbell would have to be pretty slow to not be faster. I liked Donte Whitner,he always played hard, hit hard and was a great attitude guy-he just didn't fit on this team for those dollars..
Ekpre-Olomu has said that his recovery was coming along and that he expected to play in 2016. The Browns disagreed and released him. We'll see if anyone claims the young corner or gives him another chance,but this really comes down to the opinion of doctors on the condition of Ekpre-Olomu's knee and if the Browns doctors think that the knee isn't up to the standards that are needed for NFL play,then I understand the release. I mean,why employ the doctors,if you aren't going to listen to their opinion,but an argument could be made that for the relatively low cost (450K) that the team could have given him more time to rehab the injury. The preview series concludes as we take a look at the San Francisco Giants. The easy thing to say is the even numbered year means the Giants will win it all because they have won the championship in each of the last three even years. The Giants should make another run with the off-season shoring up of some weaknesses,but are they good enough to get by the Dodgers in the division? Buster Posey stars at catcher as the best catcher in the game. There may be guys a little better defensively,but there isn't a better all around in the game than Posey. The Giants will spot Posey at first base on occasion to keep the bat in the lineup and lessen the load from behind the dish everyday. Rookie Trevor Brown took advantage of a injured Andrew Susac to win the backup job behind Posey. Brandon Belt mans first base as part of a homegrown Giant infield. Belt recovered from a injury in 2014 to return to form and might be sitting on a career year with free agency beginning to loom. Joe Panik will start at second base after back problems last season and Brandon Crawford had his career year last season at shortstop as he established career highs in all categories. The surprise player of 2015 returns at third as Matt Duffy came from the minors to post surprising offensive numbers (.295,12 and 71) in filling the void leftt by Pablo Sandoval. The outfield sees Angel Pagan moved from center to left after a pedestrian 2015. Pagan will be a free agent as seasons end,so perhaps that will perk up his bat a bit. The team signed former National and one of my favorites in Denard Span . Span brings all that the Giants need-speed,defense and hitting,the only concern for me has been Span's health of late. If that is in order-the Giants will be thrilled with the addition. Hunter Pence brings his unique skills back to right field after missing 110 games last year. Just having Pence back in the lineup should be good for a offensive jolt. The starting pitching is where the Giants put most of their off-season dollars to upgrade beyond their ace in lefty Madison Bumgarner. The middle was the issue last season and the Giants added Johnny Cueto and Jeff Samardzija in fre agency. Cueto had dominant numbers in the NL with the Reds,before winning a world title with the Royals,where his numbers weren't as good. Samardzija was a disappointment for the White Sox (11-13 4.96 ERA),but has the stuff to bounce back strongly. I'd think both righhanders will benefit from pitching in AT&T Park,one of the better pitcher parks in the game. The bullpen that ended last season returns almost intact as Santiago Casilla brings his 38 saves back along with former closer and current setup man Sergio Romo. The situational setups return as well with lefty Javier Lopez and right George Kontos. Both of those pitchers were tremendous with both appearing in over 70 games with Kontos notching an ERA of 2.33 and Lopez even better at 1.60. The Giants have addressed their rotation and added a potent bat to the lineup. Is it enough to get the Dodgers in the rear mirror? Before we begin,I've had a few people ask me about my opinions of Chief Wahoo being dropped to the secondary logo. To me,that isn't new,its been that way for a while. I hate the block C hats (although not as much as the despised cursive "I" ones that were DOA a while back) and you wouldn't be likely to see ,e wear one. My Indians cap of choice will remain-Wahoo.the early 70's "Wishbone" C in either red or blue or the mid 70's "Crooked" C to the left. Many media outlets have the Cleveland Indians listed as serious contenders in the American League Central this season. I would agree with that,but I wonder if the Wahoos invested enough in the off season to upgrade an offense that caused 2015 to be a disappointment. Yan Gomes has been on fire in Arizona and hopes to rebound from an injury plagued and disappointing 2015. A Gomes return to form would go a long way to helping a offense that seems to need it. Roberto Perez returns as Gomes' backup with some pop off the bench with seven homers in 184 at bats last season. Cleveland's attempt to jolt the offense a bit was mainly built around two aging veterans-one in the infield and one in the outfield. Mike Napoli's career looked to be over before a sizzling six week stretch in Texas convinced the Indians that his bat still had life in it. Napoli and Carlos Santana will share the first base and designated hitter slots and hope that the Indians receive the Texas Napoli not the Boston Napoli. Jason Kipnis will start at second base and Francisco Lindor will begin his first full season at shortstop. The talented Lindor looks to be an elite shortstop for years to come and is the beginnings of the Indians attempt to become an exciting and fun to watch team,which hasn't been the case lately in my opinion. Aging Juan Uribe was signed in spring training in another attempt to solve the third base issue,I'm not convinced Uribe is a great addition,but if he is even average,the Indians would likely be pleased. Jose Ramirez will backup at 2nd,3rd and short and I wouldn't be surprised to see Ramirez be a trade chip as he could start as a middle infielder for some teams. The outfield doesn't look improved to me. Michael Brantley is the standout,but will start the season on the DL after winter shoulder surgery. Brantley seems to be healing faster than expected,but still will miss time. After Brantley,you look at this bunch and wonder how a contender thinks this is a decent crew. Cleveland was counting on Abraham Almonte after a decent few months after being traded for by San Diego,but was popped for PED use and will miss half the season. I wasn't an Almonte believer from the start and I don't think he will be a meaningful loss. Lonnie Chisenhall was moved from third to right field after disappointing with the bat and I'm not sure what about that move will turn his offense around. Chisenhall will start the season on the disabled list and veteran Marlon Byrd was signed in spring training to hopefully add some power to the lineup. Byrd's game has changed with age,but he could be a helpful part to the Indians. Davis will still spell,but Davis was beaten in center by an excellent camp by former first rounder Tyler Naquin,who will start the season in center and be given a chance to hold down the position. The pitching is where the Indians hope to be among the leagues elite and make up ground on the competition. The rotation ranks with the leagues best with 2014 Cy Young winner Corey Kluber dropped from 18-9 to 9-16 and his ERA went up,but it wasn't a bad season with an ERA still under 3.5. Carlos Carrasco won 14 games (a career high) and just as importantly-posted a career high in innings. Carrasco might be sitting on a super season. Danny Salazar has tremendous stuff,if he can just harness it consistently and also struck out almost 200 batters with a career high in innings. Salazar's talent might be the best of the group and if he can even improve a little-he could be a Cy Young contender..
Anderson had three spectacular starts to begin his Indians stint last season before pitching more of a league average type for the remainder of the season. Tomlin is a consistent innings eater that teams love to see in the five slot and was very sharp in his ten starts last year (3.02 ERA). Trevor Bauer and Zach McAllister will be the long men in the bullpen with each likely to get spot starts and the chance to be the first to step in the event of rotation injury or ineffectiveness. Bullpens can range from year and year and I usually don't put a lot of stock into some relievers previous performances-they can vary that much. Jeff Manship was excellent last year in Cleveland,Dan Otero was awful in Oakland,they could switch numbers this year with ease. Journeymen Joba Chamberlain (Detroit) and Ross Detwiler (Texas/Atlanta) will each attempt to hold a specialist role in the pen while hard throwing Bryan Shaw returns as the setup man. Prediction;This team has the pitching to match almost anyone and could make a big run. However,I'm not convinced that the additions to the lineup has made up ground offensively and the scoring will continue to be an Achilles heel. It may come down to just how much is left in the bats of Napoli,Uribe,Davis and Byrd. 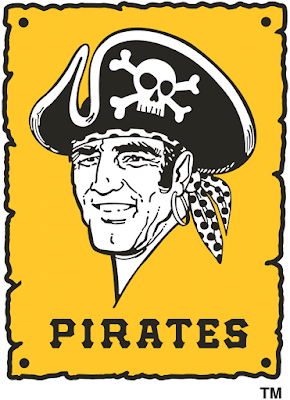 The Pittsburgh Pirates season starts on Sunday,so our preview series will start with the Buccos. The Pirates start behind the plate with the return of Francisco Cervelli,who hit a surprising .296 last season. Elias Diaz arrives in Pittsburgh to get his feet wet once he returns from elbow issues with vagabond vet Chris Stewart as the backup mitts. Pittsburgh will try to replace the power bat of Pedro Alvarez with a hodge podge of John Jaso,Michael Morse and David Freese at first base. Freese will start the season at third until Jung Ho Kang returns in later April and then slide into the platoon spot. Not sure how I feel about that ,but the team is hoping to buy enough time for Josh Bell to arrive from AAA Indianapolis. With the trade of Neil Walker to the Mets Josh Harrison moves from the super-sub role to the full timer at second base. Steady Jordy Mercer will man shortstop with Pedro Florimon and Sean Rodriguez as the keystone backups. Jason Rogers was acquired from the Brewers and will see time at third and first. Editor's Note:The team sent Rogers to Indianapolis and designated Florimon for assignment after I wrote this preview. Cole Figueroa made the team and will fill the same role. The outfield ranks with the best in the game with Andrew McCutchen,Starling Marte and Gregory Polanco. All three are plus defenders and on normal teams could play center with the range that they possess. McCutchen has become a perennial All-Star performer and Marter might have had a better 2015 than McCutchen. 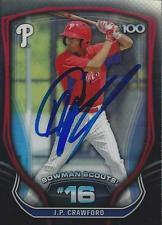 Polanco still has some things to prove,but has the talent to rank with the other two flychasers. The pitching staff still has some questions with the rotation. Gerrit Cole won 19 games and finished with an ERA well under three (2.60) and struck out over 200 batters. Francisco Liriano won twelve games with an ERA of 3.38,but has never thrown more than 200 innings in a season and has a history of injuries. Liriano is skilled,but his track record makes one a little concerned about a rotation relying on him at its top. The rotation quality dips quickly after the two top hurlers. Former Hagerstown Sun Jon Niese was the return in the Neil Walker trade and the Pirates hope that Ray Searage can work his magic with retread pitchers with Niese. The lefty went 9-10 last season with the Mets and has a career record of exactly .500 (61-61). Jeff Locke returns with after a pedestrian 8-11 (ERA at 4.49) at one spot and free agent addition Juan Nicasio will be another challenge for Searage as the career reliever will start the season in the rotation. The hope is that the Pirates will be able to get enough from Locke and/or Nicasio to get them to the summer where perhaps someone from the talent laden Indianapolis rotation might be ready supplant one or both of them..
Mark Melancon is back as the closer after a dominant 51 save 2015. Melancon was rumored to be trade bait over the winter and still could be,if the Pirates stumble this season. If Melancon goes on the market,the team could get a deadline bounty in return for the righthander. Tony Watson will be the lefty setup man and Jared Hughes will be the righty version,although Hughes will start the season on the DL with a lat strain. Pittsburgh once again will lean on Ray Searage to attempt to revive a career-this time,it's the formerly almost unhittable Neftali Feliz,who posted an ERA of over six last year. Arquimedes Caminero was decent last season after being added from Florida and the Pirates have collected three veterans to be the long relievers and stand-by starting possibilities in Kyle Lobstein,Ryan Vogelsong and Corey Luebke. All are far from sure bets,but if I had to wager on one to bet on,I'd go with Luebke as an intriguing option. Prediction? 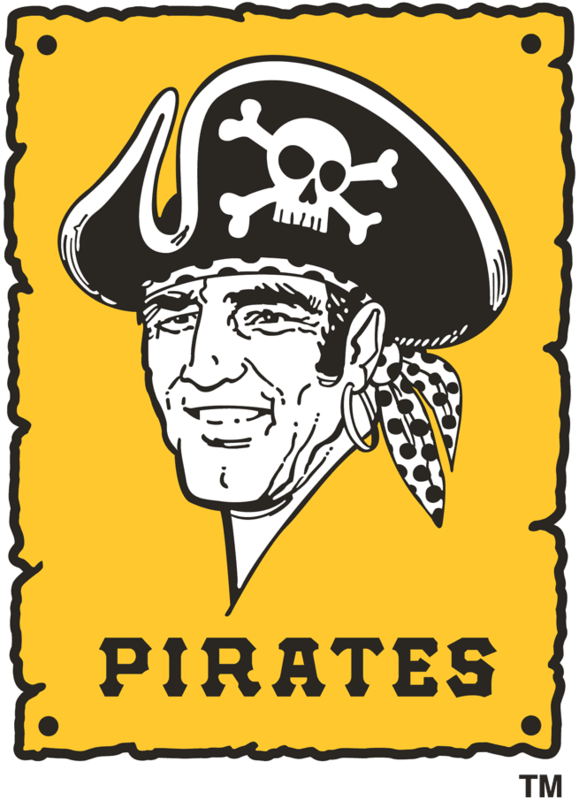 I think the Pirates could take a small step back this year,but I still think they can make a run at a wild card spot. The back of the rotation is a concern and the corner infield positions could do wonders for contention hopes with some unexpected production. It wasn't really a vacation,but I am back from Avon,Ohio. 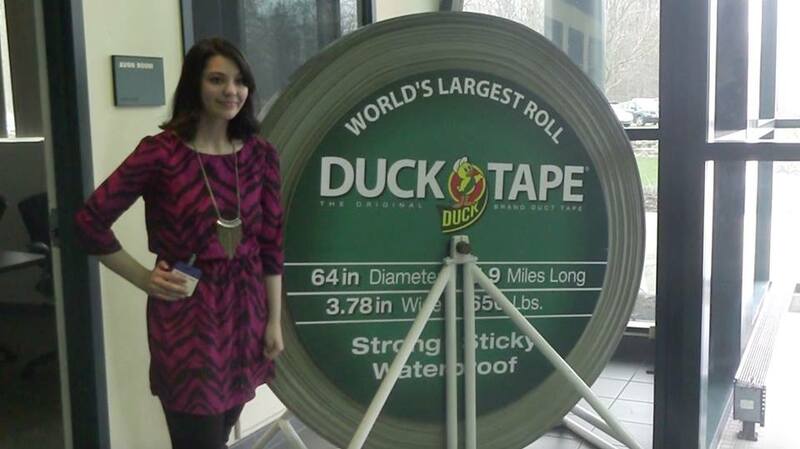 Rachel had another shoot with the ShurTech/Duck Tape people and I did what I do-make the arrangements with them,drive and play Strat O Matic while things are going on. I did manage to do the podcasts while there and I hope you enjoyed those. The podcast was a little easier to do because I could tuck away and talk for a bit,where the blog was hurt by the interruptions that come with being in a workplace environment. I was in Avon during our 9th anniversary here at TRS and with all the hubbub going on,I forgot to do our annual post talking about the anniversary along with our thanks to the various people that support the TRS empire. I'll try to do that sometime during the next week. For those of you interested in my schedule for the first two weeks of the season. Skipping the Suns home opener on Thursday as the pass isn't accepted on opening day and I just don't feel like arguing over it. I'll then be at Hagerstown Friday through the following Wednesday,but then skipping the Frederick home opening series vs Lynchburg (Indians! Grrr) due to a crazy 48 hour run at work because of some work trainings and then I might be able to hit Harrisburg on that Saturday for Vlad Guerrero night! That is about the only good thing about those trainings-I was able to trade off to get the Guerrero night off! Keep your eye for a new feature every three months,which will be our official boxing rankings! We have three voters right now and look to add maybe two more. I think the boxing fans will enjoy that feature! Think that will do it-Hope to be back tonight with our annual anniversary post!